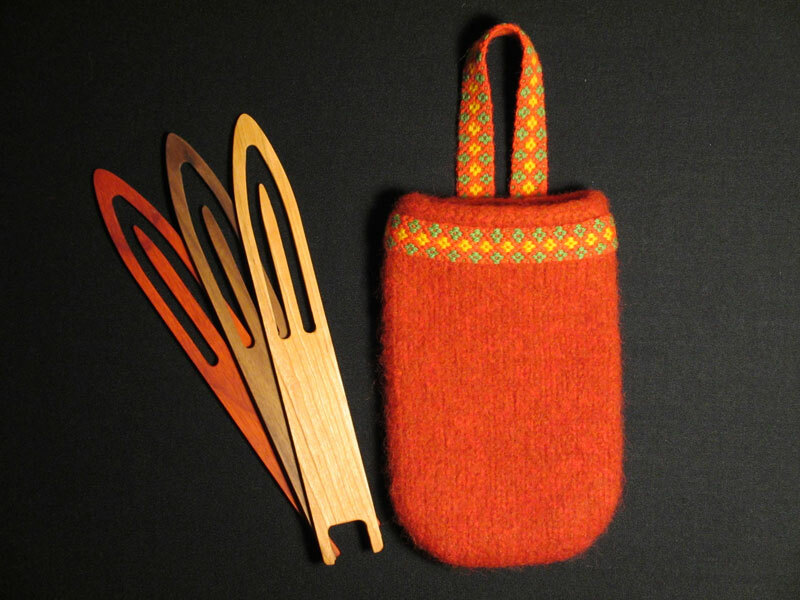 In an online article in the Norwegian Textile Letter, I talk about what’s in the book and also about how pick-up bands were used in the old days in the Hallingdal valley. I include warp drafts and pattern charts for the two bands I wove to illustrate the article. 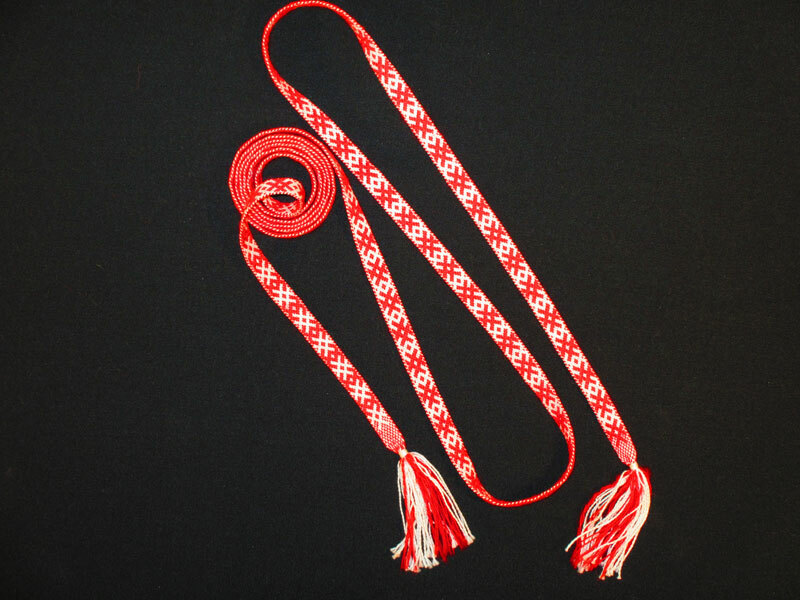 These bands were modeled after traditional bands—one a hairband and the other trim for a skirt—in Norwegian museum collections, and are shown in progress on the band heddles in the photo above. I used the skirt band sample to trim a knitted-and-fulled (felted) wall pouch. The finished bands are shown below. Click here to read my article in the Norwegian Textile Letter, which includes a little history, plus warp drafts and pattern charts for the bands shown below. 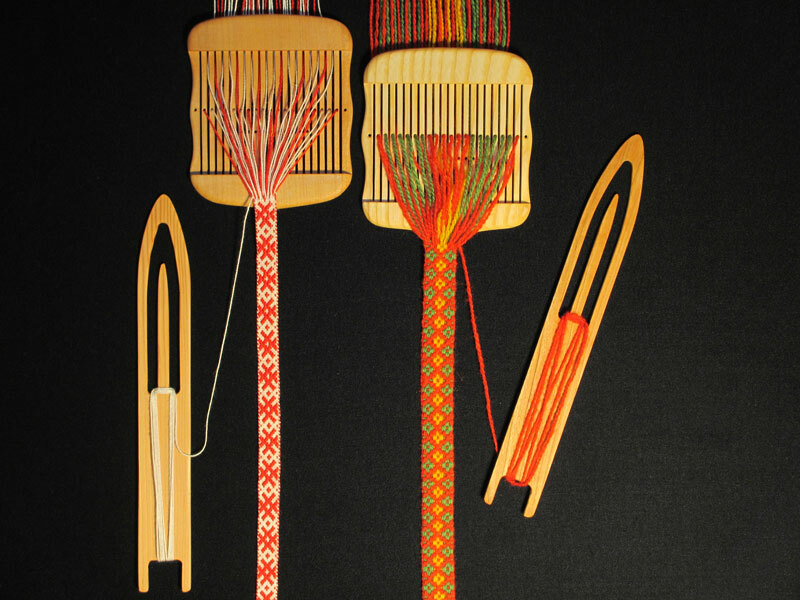 Soon after the article was published it was fun to learn that a member of the Weavers’ Guild of Minnesota wove a band using the hairband pattern. You can see his post, titled Heather’s Hairband, here. Thanks Keith, for contacting me so I could see your band! I loved your article and the beautiful bands. My family bought a cradle loom at the Vesterheim Museum over 30 years ago. I can’t wait to play with these new ideas with it.